“Curious have the talent to create and develop amazing design and produce original branding. From our first meeting the girls at Curious understood exactly what we wanted. They took our idea and made it our reality. 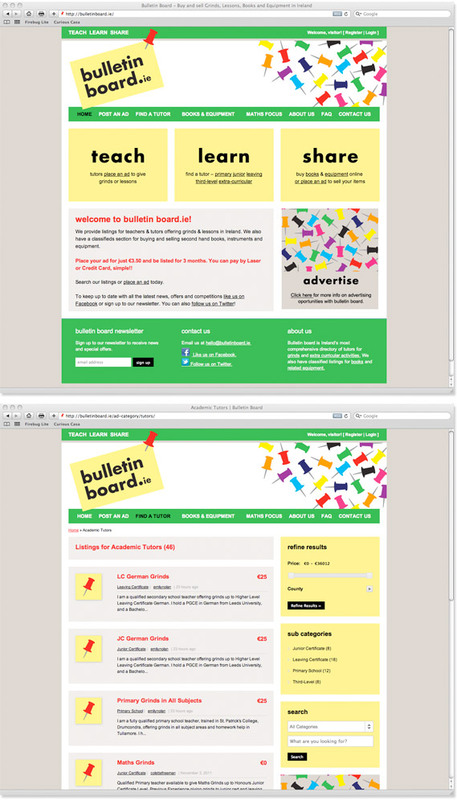 Bulletin Board is a new directory site dedicated to all things educational. It has a clever combination of tutor listings and a classifieds section. Users can search for academic or extra curricular lessons and buy or sell books and equipment. We worked with Siobhán to create branding that would appeal to students, tutors and parents alike. We then applied the branding to the directory site, promotional posters and business stationery.